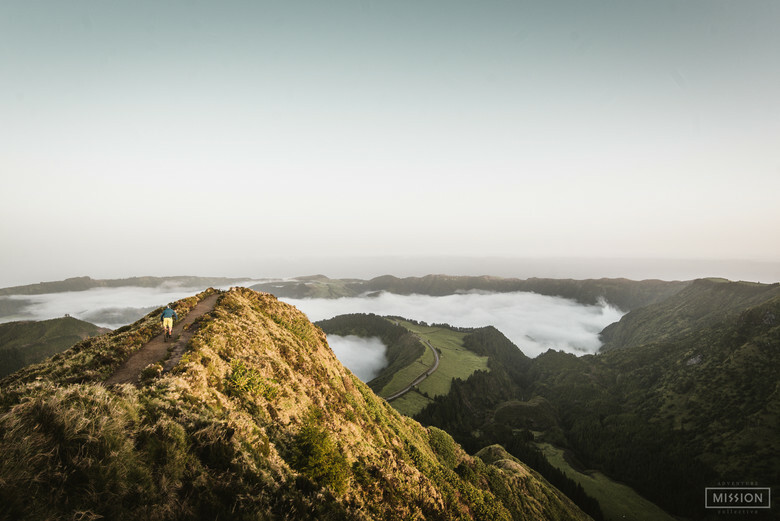 Few days passed from our arrival in Azores archipelago and it's still difficult to find the right words to describe this "to be discovered" paradise in the middle of the north Atlantic Ocean. 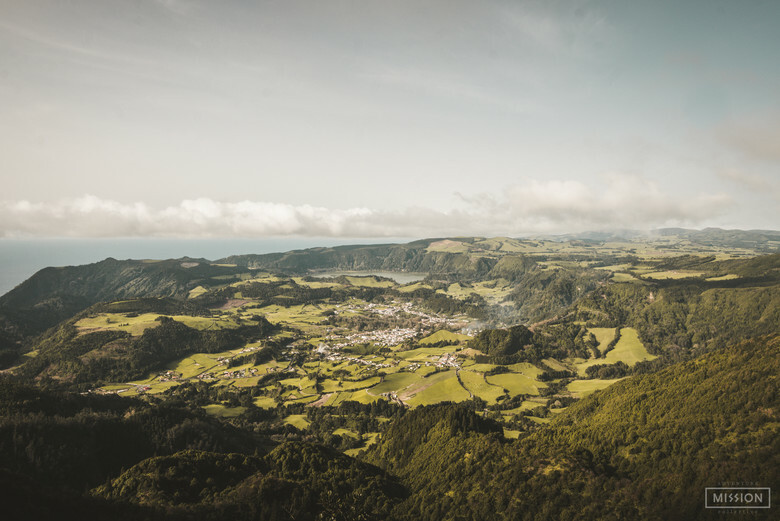 Land of myths and history, São Miguel island is known for it's green plain fields that come across the highest mountains until reaches the unforgiving Atlantic Ocean. Since a few years that this archipelago simply abounds in adventure and outdoor activities. It has world-class whale watching, sailing, diving, hiking and canyoning, but recently the surfing and mountain biking opportunities are giving to this peace of green heaven a new breathe by slowly making his mark into a bike and surf destination. 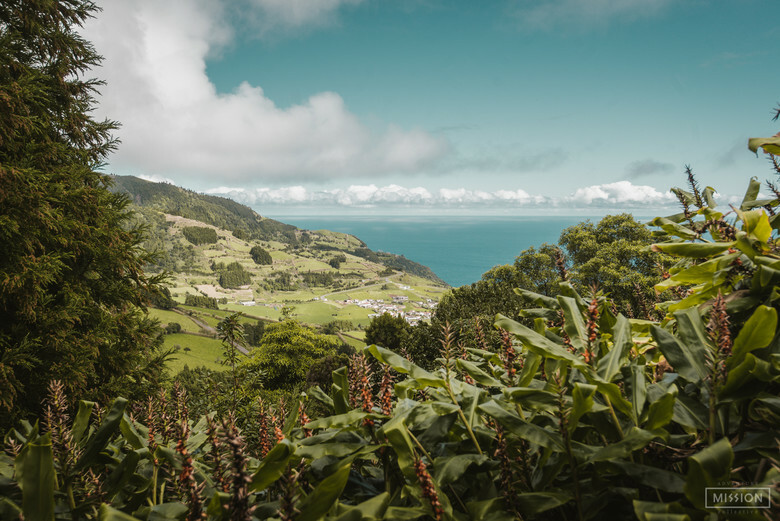 Besides all the activities that we may want to be part of, there is no rush - this place can deliver us the sense of quietness, something that you'd find quite normal if you plan to visit Azores in the future, something that it's truly hard to find nowadays. 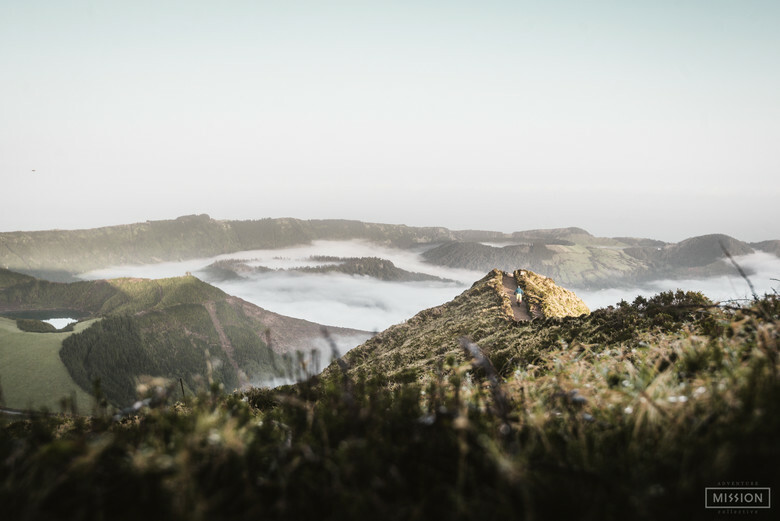 As you sit at the bottom of the valley looking up the mountains around, you would never think that mountain biking is a new way to develop Faial da Terra village. For that, we advise you time. Time to have the full and right experience of the place. Speaking about time, two practice days passed away and riders have to be ready for two days of racing ahead of them. This venue is composed by 8 stages total, where racers will experience a wide variety of terrain from, slippery dirt to cobblestone, purpose-built trails to ancient trails left by the Portuguese settlers and farmers. First two practice days were quite a mission for riders as it rained a lot before the event - here, when it rains, "it rains"! With such muddy trails, grip is something you wish for each time but it's usually nowhere to be found in this place. The stages are a real challange and surviving rather than racing became their main goal. Riders had to really trust on their tires and hopefully find some grip to, at least, clear the section with a big smile. In the end what matters is the amount of time they spend on those singletracks with other people that share the same passion. First racing day we woke up with clean weather and promisses that the weather will be on our side. In fact as soon as the first riders started the day they've realised that the traction condictions have improved a lot which gave a new level of confidence to them. At the front end the race was super tight and Milan Mysik ended the day just 7 seconds ahead of Marc Beaumont. Last year's winner João Machado had a several mechanics that took him of the battle. In Duo's category João Rodrigues teamed with Fábio Gil were confortabily in the lead. With First Day over, riders and bikes had time to finally rest and recover from a few crashes. For some this is all about pure fun, but for others when there is a clock counting then, yes it's race timel! The hopes for good weather from the day before continued and the riding condictions improved as well. Riders had to commit, lean and trust on their tires. From many scared faces over the first few days, on last race day things changed completely and it was all about having the most fun out of it. We could all see the new level of confidense of riders due to the better gripping condictions. It's the last day and they all knew that in the end of the last stage they would have a ton of craft beer and traditional food to enjoy, so the level were high. Those warriors truly deserve that! Besides Milan had set the pace in the day before, on Second Day Marc Beaumont was fastest and recovered the time he needed to win. In Duo's, J.Rodrigues and F.Gil maintained their pace and took the win. Dune and dusted! Regarding the well deserved winners, Azores Enduro Fest was all about to be and enjoy the magical land and those trails with a bunch of riders from various locations in Europe, sharing the same love that we all have for the mountain biking and especially for the Nature. This event was nuts. This is Azores!! !